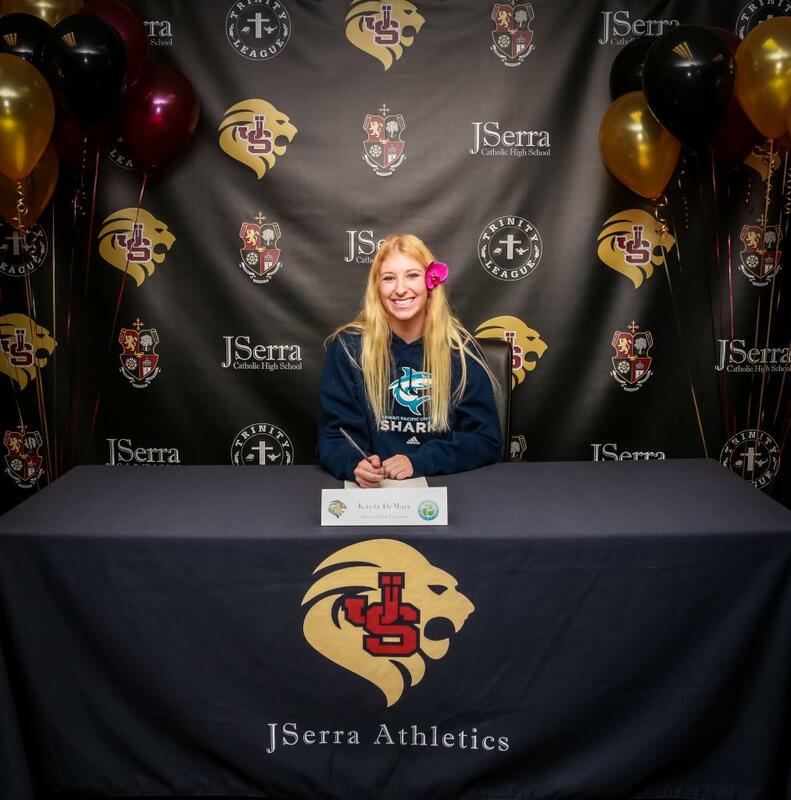 JSerra’s junior all-star athlete, Grace Kramer, has committed to a full athletic scholarship for gymnastics to Arizona State University for 2016. Grace has been working for years to make her mark in the gymnastics world! This will be just one of many accomplishments that this 16-year-old has achieved. Last season Grace placed 3rd AA and 1st on vault at the SoCal state meet. She qualified to the NIT where she placed 1st on vault and floor and 4th AA. Grace started competing at level 4 back in 2006 and has worked her way up to compete at level 10 in 2013. She has been training with Wildfire Gymnastics since 2011. Grace has done her work to get noticed, and get noticed fast. It is very rare to be offered a scholarship at only a junior standing. 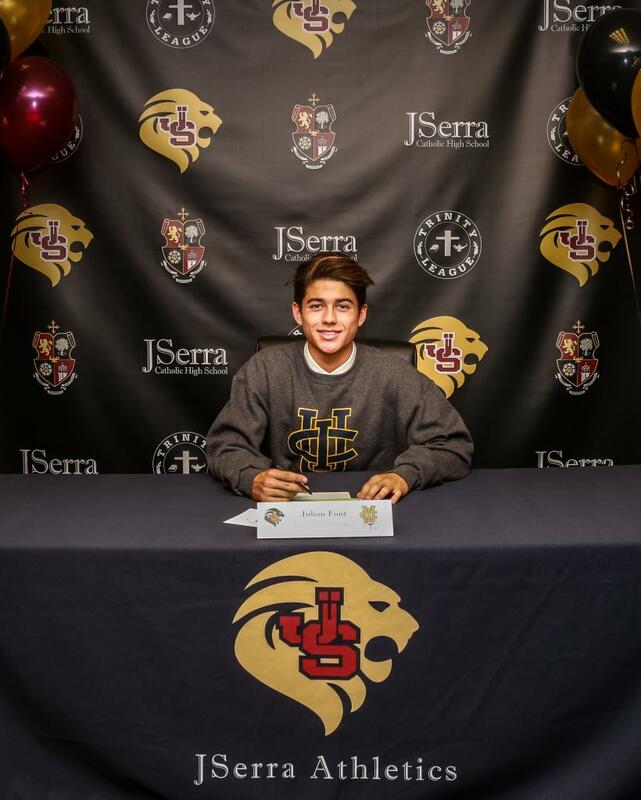 Grace will be graduating from JSerra in the spring of 2016, after which she will join the ASU Sun Devils in the fall on a full athletic scholarship. Congratulations to our fellow Lion, Grace! 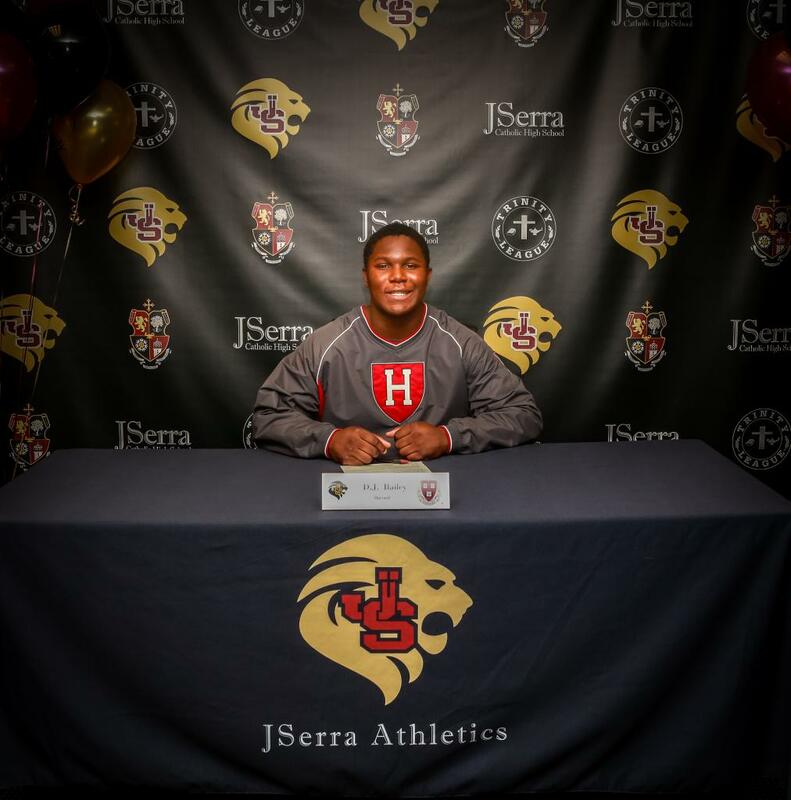 Celebrating its tenth anniversary, JSerra has had its share of accomplishments but it is the class of 2013 that has helped mark the school’s first decade as truly remarkable. The graduates have had national record-breaking swim championships, the school’s first Trinity League Athlete of the Year, a valedictorian with a record high GPA of 4.88, never before seen at JSerra, a cross country team who has won League, CIF, and State championships three times in a row, a first in the state of California, among countless other accomplishments. 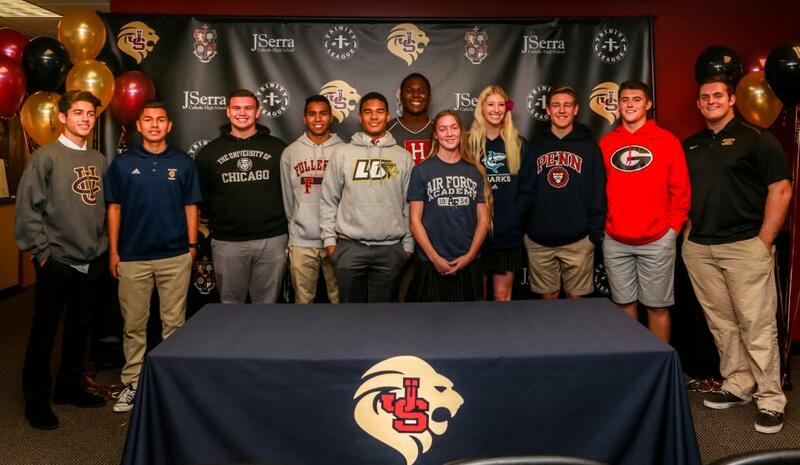 With graduates attending top Universities like Duke, USC, Berkeley, Notre Dame, and more, they have collectively received more than $12.5 million in scholarships, the highest of any graduating class at JSerra. As President Richard Meyer quoted St. John Paul “In the design of providence there is no coincidence.” It is not by mere coincidence that this graduating class has had many successes during their four short years as Lions. 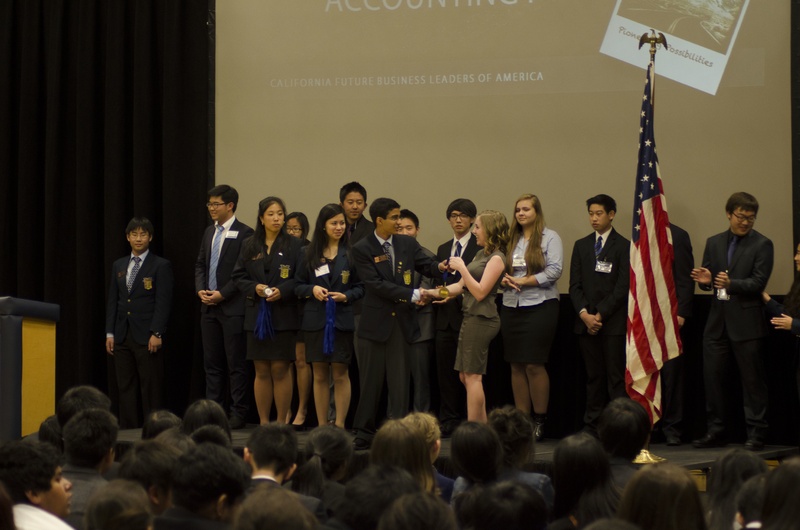 With plenty of cheers from classmates this class has demonstrated the connectedness that is cultivated by the faculty, staff, and parents within the JSerra community. Among those honored where Monica Patel the recipient of the JSerra Award, acknowledged for exemplifying JSerra’s mission and philosophy. The highest honor a student can receive at JSerra. Jovy Mann receiving the Msgr. Martin Award, Owen Hosseinzadeh receiving the Gillian Sabet Award, Saseen Najjar receiving the Lion Award, Ryer Baldridge acknowledged with the Leadership Award, Madison Myers-Cook received the Campus Ministry Award, Andrew Lee for the Spirit Award, and Josephine Duran receiving the Christian Service Award for her 2,500 hours donated in community service. 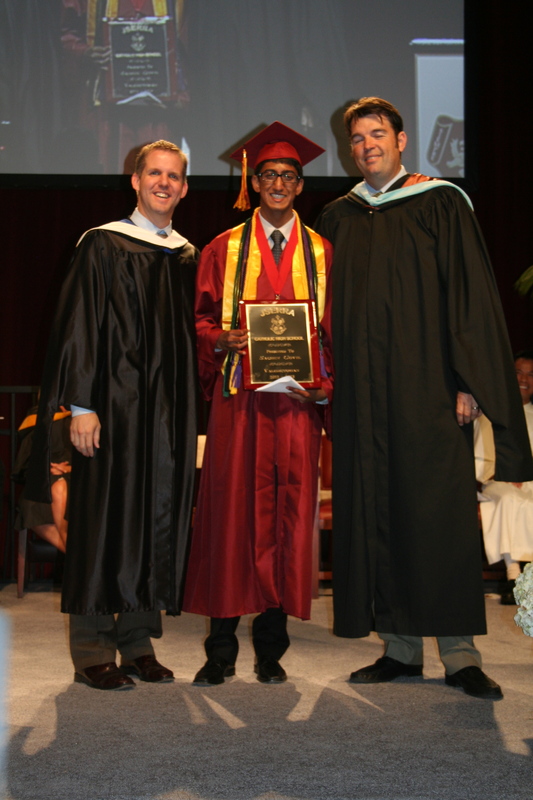 To view the complete photo album from Graduation please click Class of 2013. Be sure to tag your photos with the hashtag #Classof2013 to share on Instagram. The JSerra girls cross country team has done what no school in Orange County, in any sport, has every accomplished; Three-peat. They won their third straight State Championship Saturday, with the added highlight of sophomore Brooke Kunzelman being named to the All-State team. 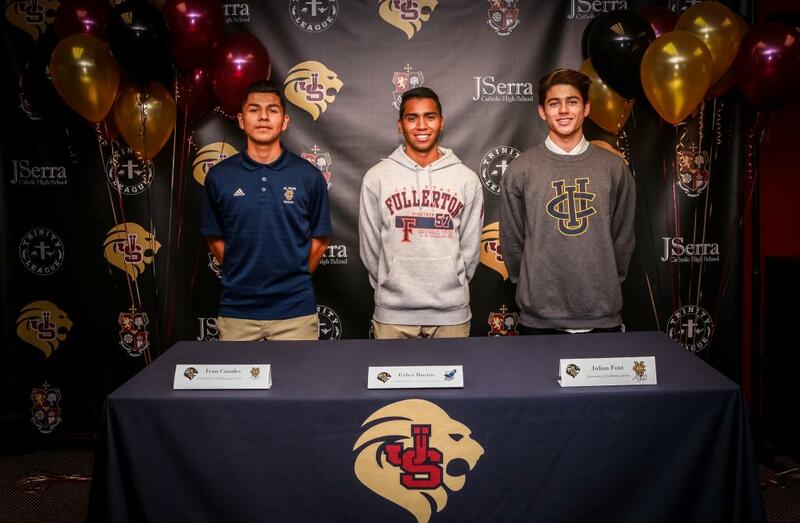 In addition, the Running Lions won their third straight CIF Championship one week earlier, to go along with their third consecutive Trinity League Championship. Congratulations to all of the Running Lions, on both the boys and girls teams, for an incredible season and a continuing commitment to excellence. OC Varsity covers the State Championship winners below. 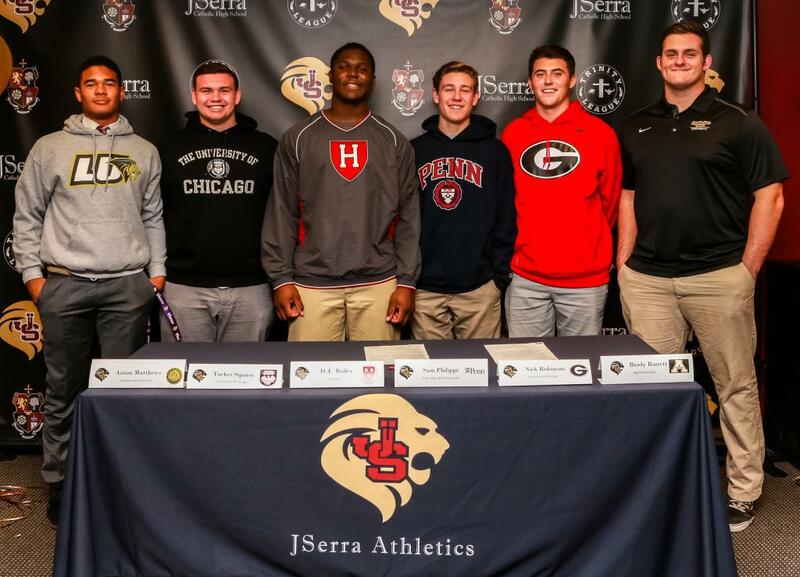 The season-long journey of JSerra wasn’t always perfect or without challenges. But once again, that journey came to an end with the Lions celebrating another CIF state title. 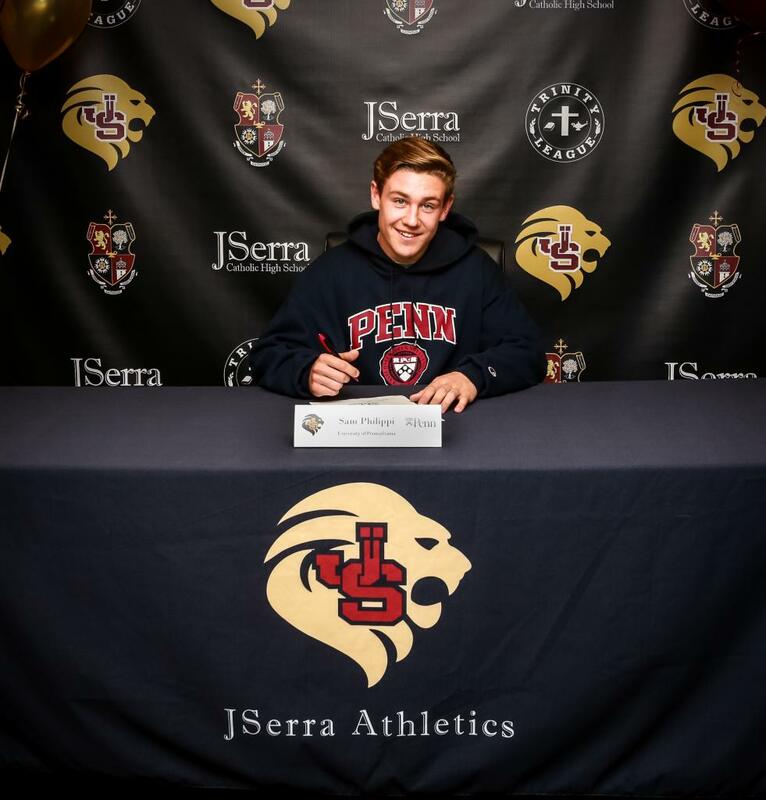 JSerra placed five scoring runners in the top 30 to win its third consecutive Division 4 state title at the CIF State Cross Country Championships on Saturday at Woodward Park. The Lions are the first county program in the 26-year history of the state championships to win three consecutive state titles. To read the complete article click Running Lions. To view the complete photo album click here. 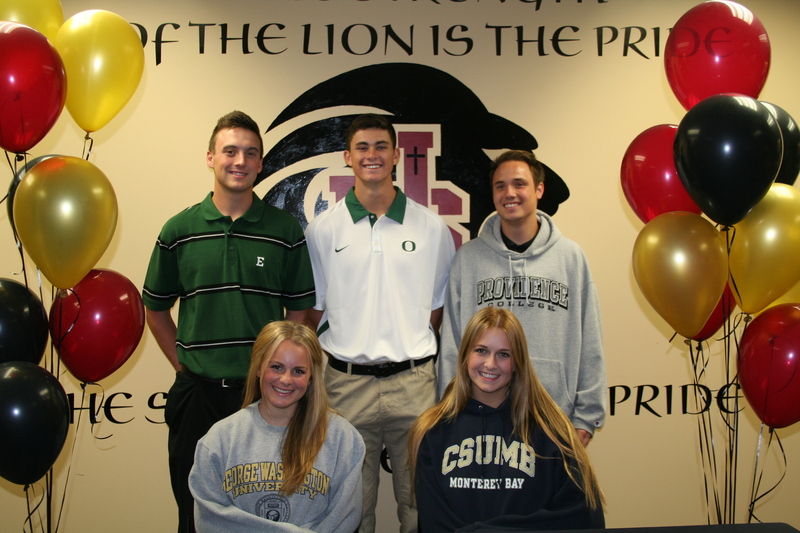 Congratulations to JSerra’s five athletes for making their commitments to play collegiate sports. Read below for commitment details and more on each athlete. After looking at schools like UC San Diego, Holy Cross, and Santa Clara Montgomery decided that Eastern Michigan University is the right fit. 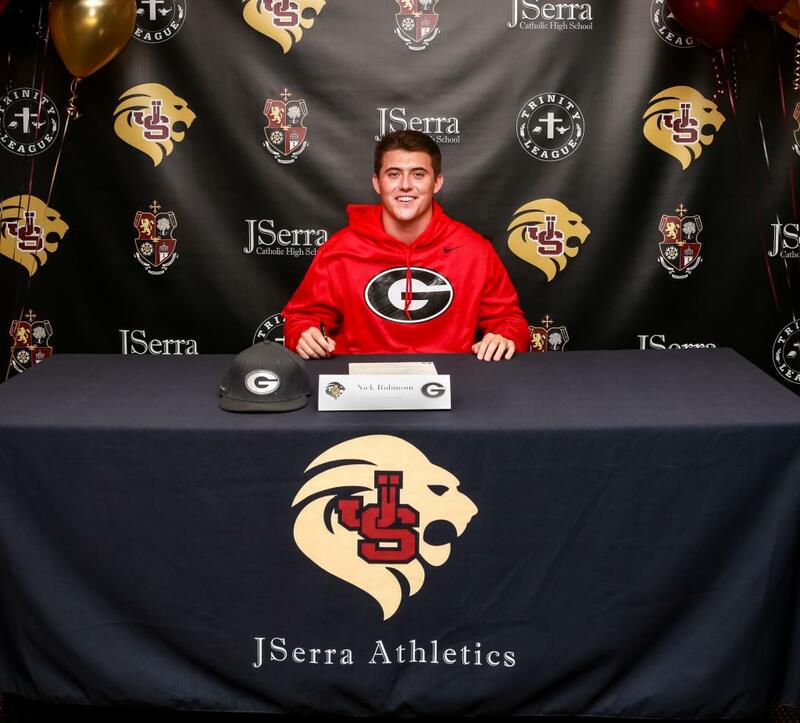 Dane McFarland a senior from JSerra, committed to Oregon as a right-handed pitcher and outfielder after being named the 73rd best high school player by Baseball America. 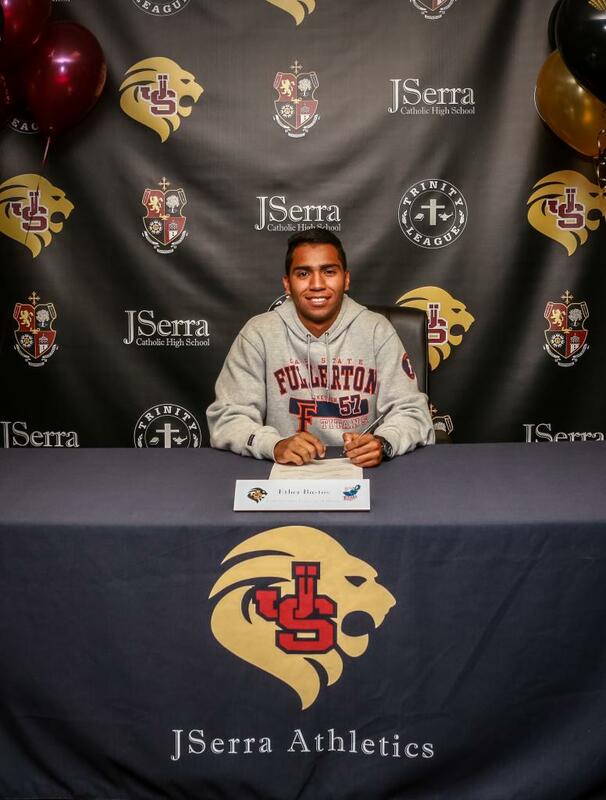 “I chose Oregon because of the great coaching staff and the environment out there. I know this is where I am meant to be and I can’t wait to get out on the field in Oregon. I owe a lot to Coach Kay for developing me as an athlete and student,” said McFarland. 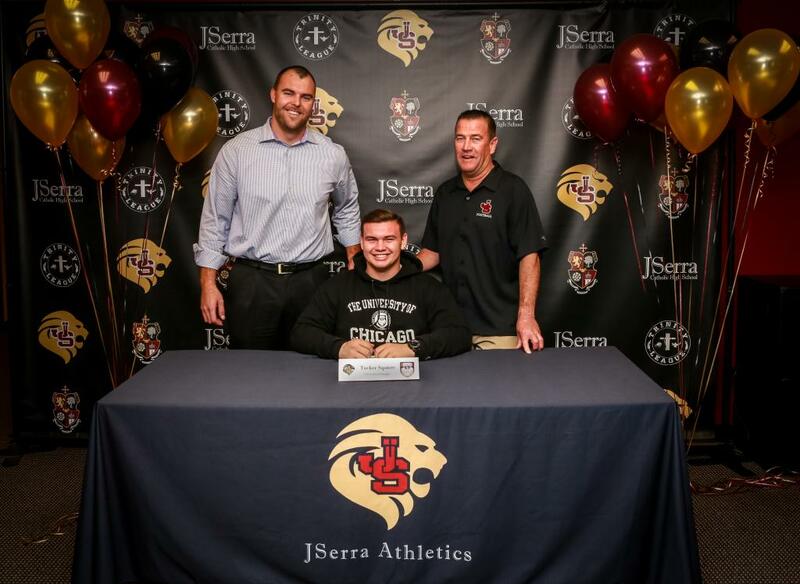 Cole Schleppy signed a letter of intent to play lacrosse for the Friars at Providence College next year, as Coach Harrison’s first athlete to sign since his tenure at JSerra. “Providence is the right fit for me, with the small size and location I look forward to moving out the Rhode Island. I’m ready to bring all my hard work to the team, since I have been playing since fourth grade I feel like I’m ready,” said Schleppy. 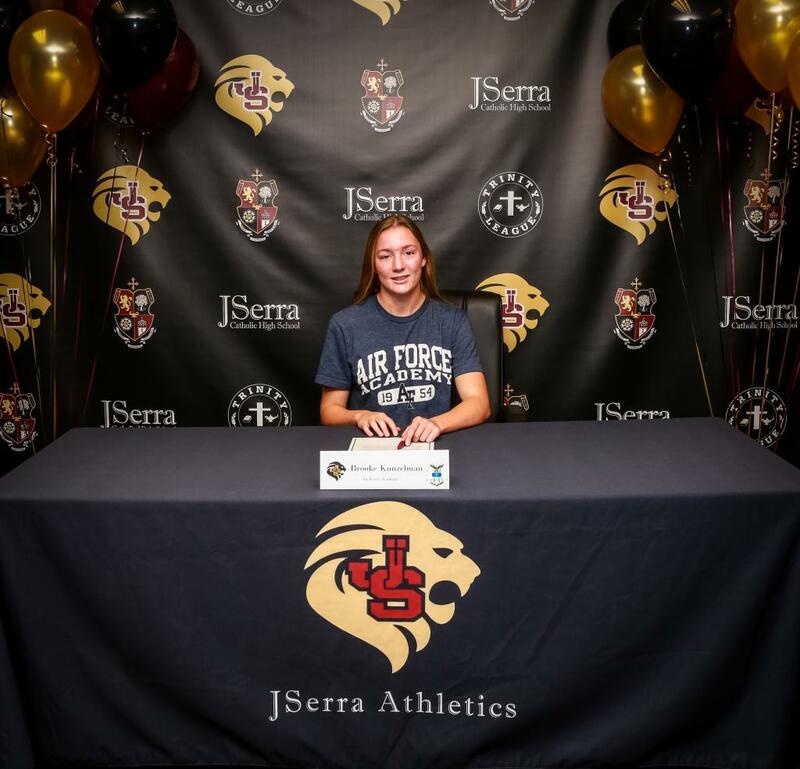 Amy Buff committed to playing collegiate volleyball at CSU Monterey Bay, as a senior at JSerra, without having any doubts. 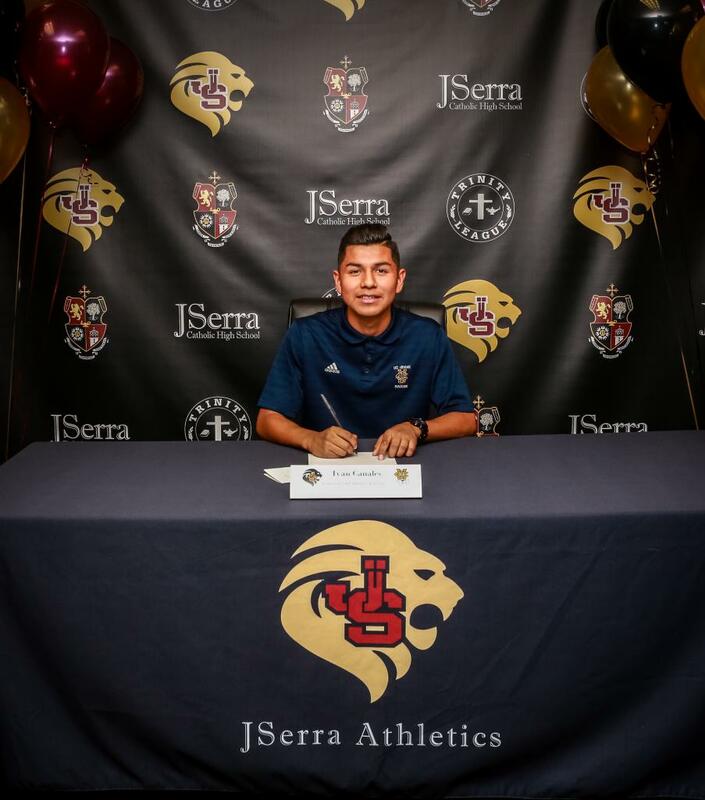 “I didn’t need to look for a school to go to, I knew CSUMB was the right fit for me. 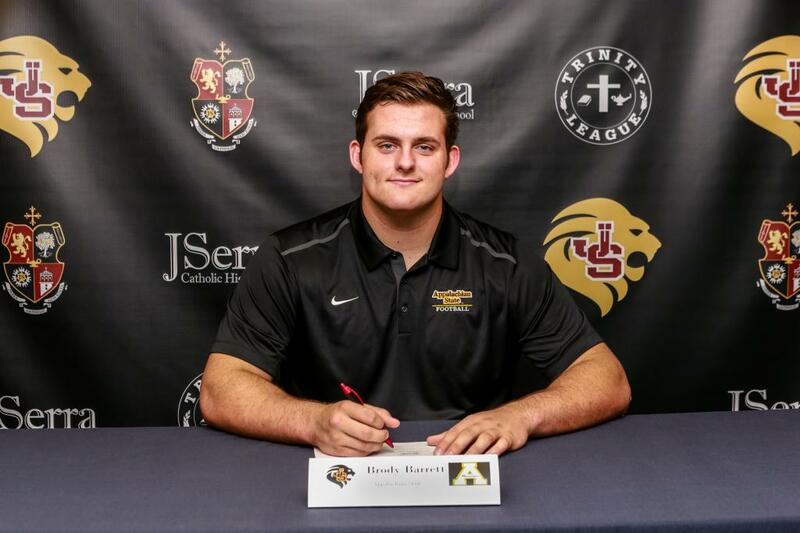 My choice was easy, with the coaching staff having chosen me it made me feel like all my hard work paid off in a highly competitive sport, it’s my dream to be here,” said Buff. JSerra senior, Madison Myers-Cook committed to George Washington University to play softball, after looking at Boston College and Villa Nova. “My goal has always been to play Division l softball and I finally made it, and I couldn’t be happier. This is a special moment,” said Myers-Cook. To see the complete album of commitments click Signing Day.